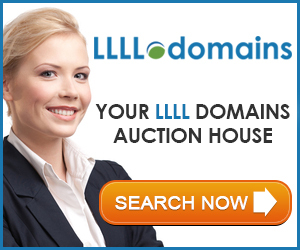 Constantine Roussos is the co-founder of My TLD, who is one of the applicants looking to run the .Music new gtld. In the video below he talks about his vision which seems to be about giving artists the ability to secure their name which many times is not available in .com. This entry was posted in - Videos by Irene Conde-McKim.Bookmark the permalink. Either Ray Hackney has a ton of ghostwriters or he doesn’t do anything else besides write about domains. What other explanation is there? No ghostwriters, although I do some ghostwriting for other sites, non domaining related. But as far as domaining goes, I own, manage or write for 6 domain blogs. I know! What’s your secret to stay motivated writing? Thanks for posting this Ray. You have quite the interesting twist in regards to my interview. In regards to the .COM vs. .MUSIC argument you are quite right in some respect. I have used the .COM example to showcase why .MUSIC would be a stronger alternative to .COM for the music community. I was not praising .COM. I was merely showcasing the opportunity of how a .MUSIC will create value under the right policies and execution of the gTLD under the governance of a truly multi-stakeholder effort. The reason why I am comparing .COM with .MUSIC is to simply showcase the benefits of .MUSIC over the shortcomings of .COM under our model. There is always a reference point that others can understand. By no means I am proposing .MUSIC will overpass .COM in registrations. That is impossible given the niche nature of .MUSIC and because our focus is on quality over quantity. Less registrations – see .EDU – could produce substantially more benefits to the music community, music consumers and internet users at large. Our objective is legitimizing the space under .MUSIC and creating a safe haven to ensure monies flow to the music community not illegitimate rogue websites under extensions which have no appropriate restrictions to protect the interests of the music community. For starters, .COM is not community-led, does not have policies geared to benefit music community members (such as name selection policies, content/use policies, enforcement policies or eligibility policies. Furthermore, .COM is too general and suffers from COMmoditization i.e it is not niche and focused. Since the music community does rely on the DNS/Internet for core activities such an extension would be useful under a .music extension which suits the needs of music community members and rightsholders. If you look at PirateBay, they have been switching extensions to circumvent the law e.g from .com to .org to .sx to .ac to .sx. Right now their plan is to take the illegal service off the DNS. This is a prime example how .music makes sense and how it can legitimize a domain space to protect consumers, ensure higher quality content with respect to music and ensure all famous brands can register their names without any fear of cybersquatting or rampant copyright infringement. Constantine, I apologize if you were offended by the commentary, I don’t think I twisted anything. I was emphasizing a point the many .commers make, when you made an example at 1minute 21 seconds into the video, you said people can skip Google and go right to Queen.com, I think you meant go right to Queen.music. That was not an attempt to be pedantic, its a common thing that has been brought out over the years especially when people have talked about .co they sometimes still wrote .com as a habit. So what I was saying was I was sure .commers who heard that, the one’s against the new tld program, said, See even the new gtld proponents slip up and say .com. I have nothing against .music. The examples I gave on Eagles.com, Prince.com and Queen.com were real examples which I commonly give (see an article I wrote in 2010 that discusses these examples at http://musicmusic.com/articles/why-the-music-industry-needs-a-music-official-website-domain-name-all-artists-bands-and-musicians-are-music-brands-in-need-of-a-home.html). I always ask people to visit those .COM domains or ask them to guess what the official sites to Eagles, Prince, Queen are to showcase my point because one can never guess the real ones unless they already know their official site. I did in fact use .COM as a reference point to showcase why .COM is ineffective and why an alternative .MUSIC makes strong sense and could create great value and to perhaps lure people to type on those .COM domains to validate that those sites were unrelated to the artists or music. Also need to take into consideration that the video was edited by ICANN and a lot of content was left out in terms of what was said (before and after each edit). ICANN did the right thing to edit the interview and make it shorter since the entire interview would have been a bit too long. People get it and what was conveyed. I found that the most effective way to explain to people the value of .MUSIC is to use the most common extension – .COM – as a reference point – something they can relate to and know – and point out its deficiencies. The fact is that most people have no clue new gTLDs are coming and an explanation without using .COM as an example would be ineffective. I believe your second paragraph would have been more useful and not meaningless to readers if it was about .MUSIC not .COM and to discuss the real issues and deficiencies of .COM and the benefits of a .MUSIC. This would be more insightful as opposed to meaningless things that divert attention from the interview and the main benefits of .MUSIC over .COM. I was not offended by the commentary in the second paragraph. Quite the opposite.